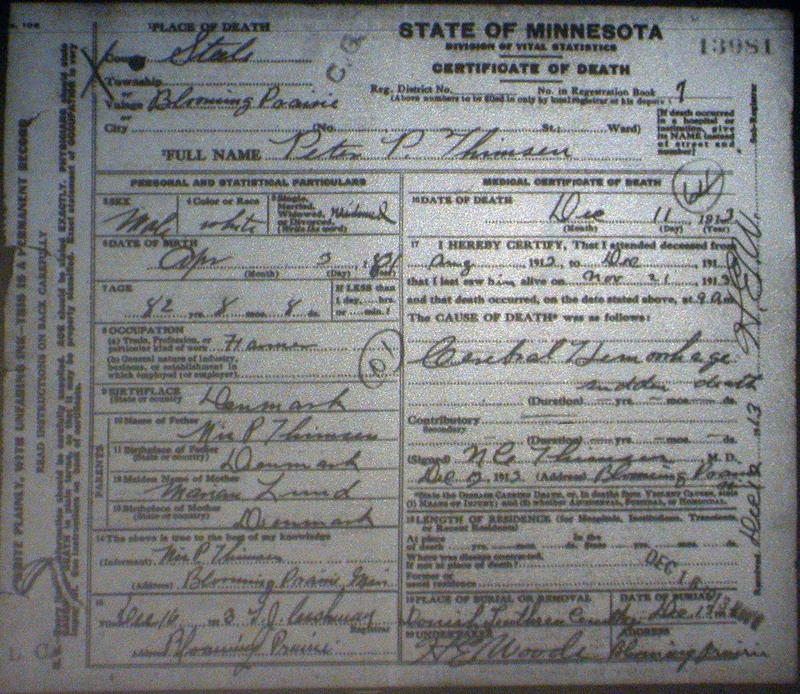 Katherine "Kate" Thimsen(1873-1959), Peter Petersen Thimsen(1831-1913), and Hattie Thimsen Peterson(1866-1940). I have FINALLY found Peter and Nis Thimsen's birthplace in Denmark! 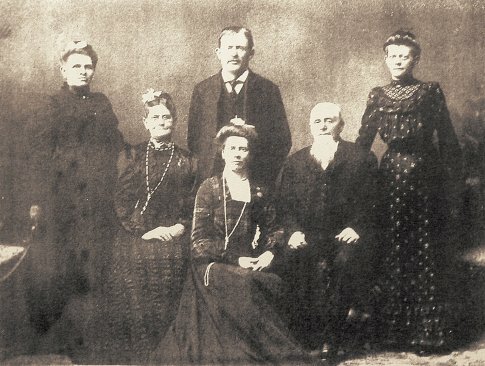 Peter Petersen Thimsen and Nis Peter Thimsen were the sons of Nis Peter Thimsen and his wife Maren Lund. They were both born at Bojskov in Tyrstrup Parish, Haderslev County, Denmark. What a relief to have this solved once and for all! 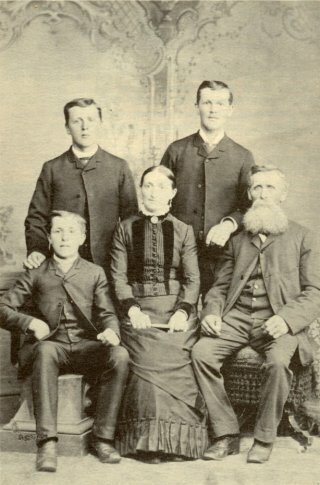 Mother: Maren Lund Nis Peter Thimsen, Sr.
Nis Peter Thimsen, Sr. & Maren Lund Family. 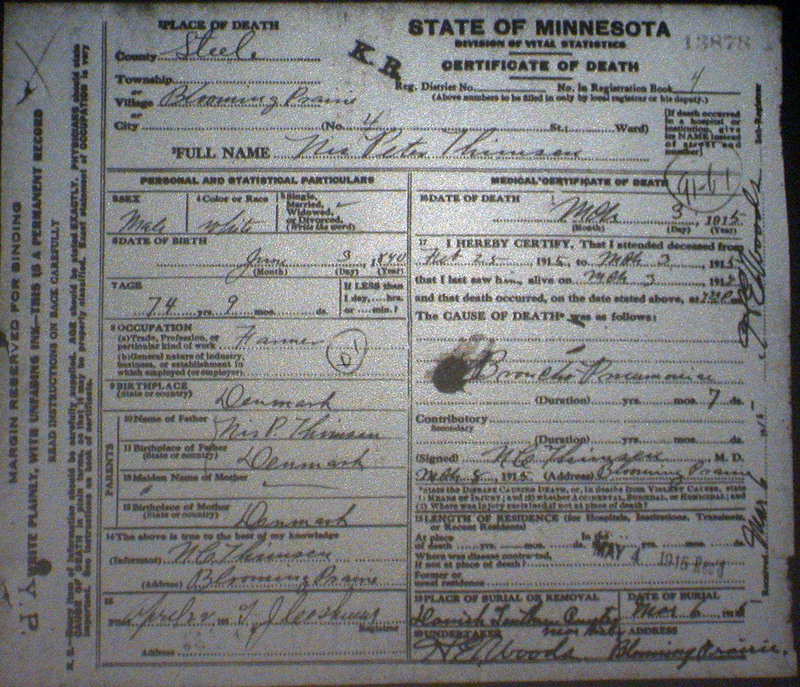 My search for the Thimsen family origins focused mainly on Nis P. Thimsen. 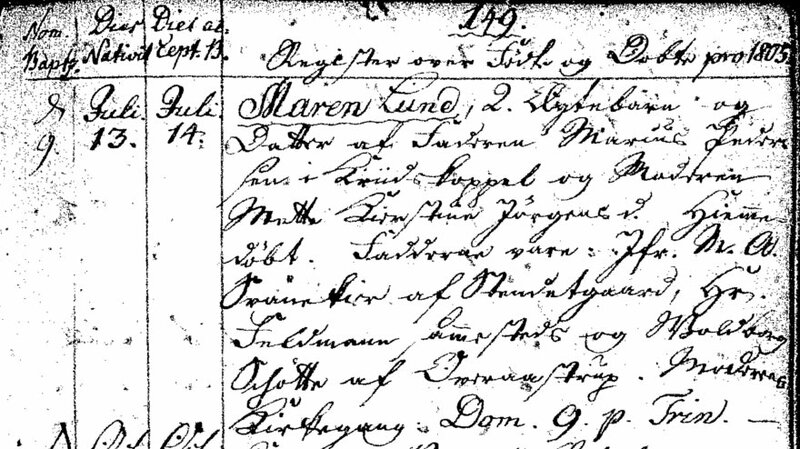 I have found Nis' name aboard the "Saxonia" which departed Hamburg, Germany on 29 June 1861. N.P. Thimsen, born in "Fjelstrup, Denmark" Landmand(farmer), aged 21. Fjelstrup is the parish next to Tyrstrup. The Saxonia arrived at New York on 16 July 1861 where Nis was listed as a farmer from Denmark. N.P. Thimsen, aged 21, male, farmer, from Denmark. what place they had in mind. &COPY;2003-2007 Gary K. Jacobson-All rights reserved. Last updated on 25NOV2007.